Location: Washburn, North Dakota, In Washburn, connects Lewis & Clark Visitor Center to Riverside Park. The Washburn Discovery Trail begins in Harmony Park at the North Dakota Lewis & dark Interpretive Center, a certified Lewis & Clark National Historic Trail site. 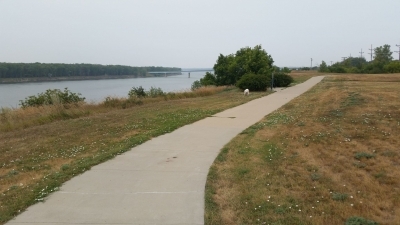 The concrete trail proceeds to Washburn's Riverside Park, taking in vistas of the Missouri River along the way. 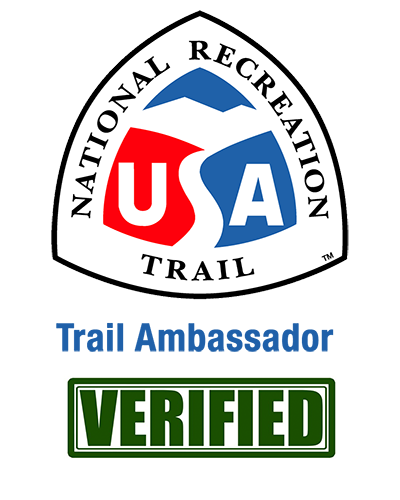 Throughout the route, historic sites, from the location of North Dakota's first coal-fired power plant; to the bridge spanning the Missouri River; to the last operating ferry boat on the River in North Dakota; to historic Washburn Landing; to the Soo Line Railroad are marked with interpretive signs, benches and other walking/hiking amenities. The trail utilizes innovative and environmentally-friendly fly-ash based concrete. A variety of partnerships, including the City of Washburn, Lewis & dark Fort Mandan Foundation and Washburn Area Convention & Visitors Bureau are making this new trail (opened in 2005) a popular feature for locals and tourists alike. Trail is very nice. Has lots of scenic views and places to stop and sit. Goes through a nice park right next to the river.